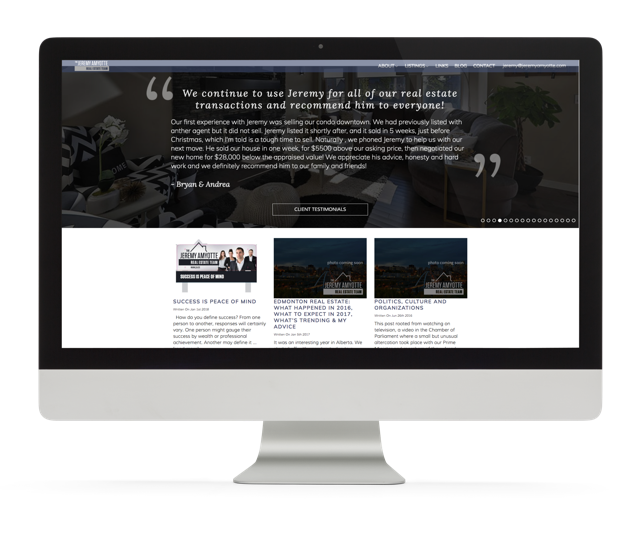 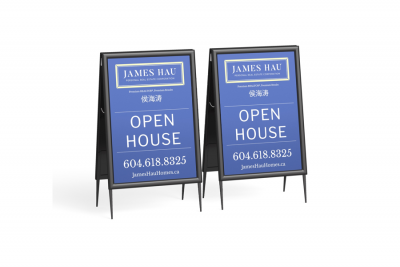 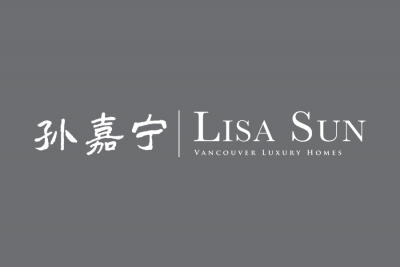 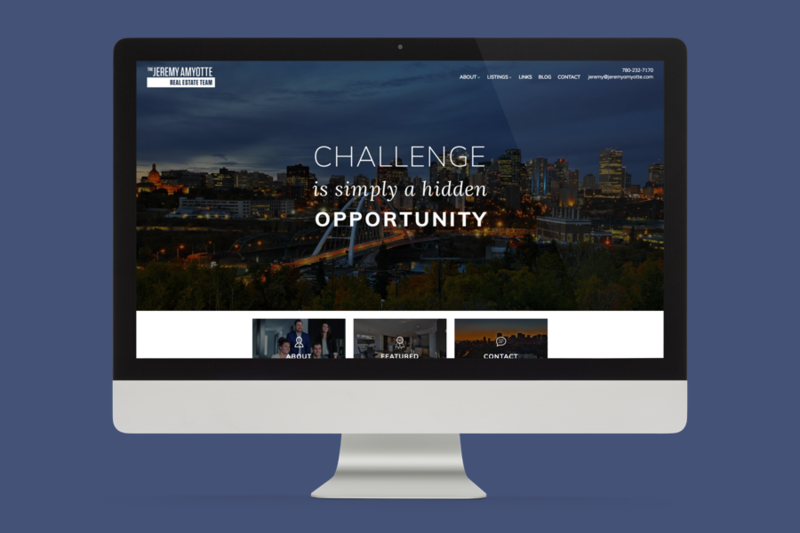 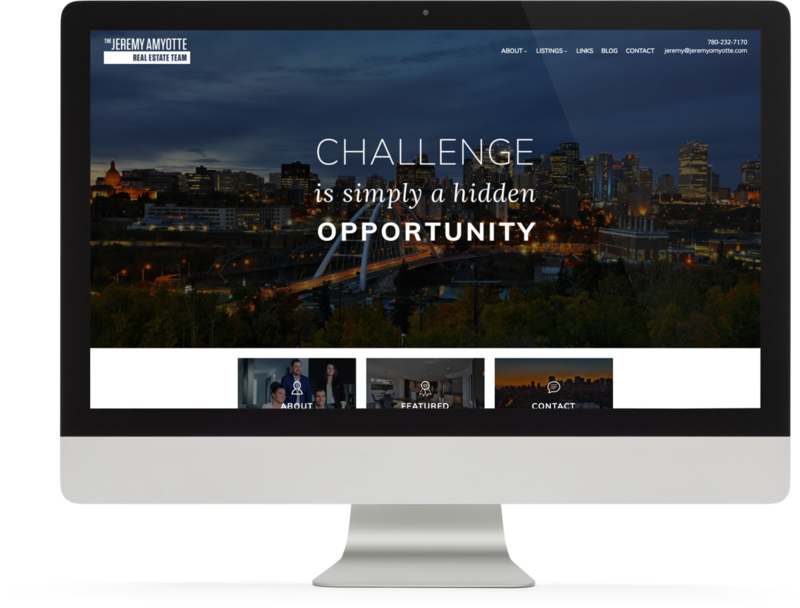 We are proud to showcase our first real estate website in Alberta! 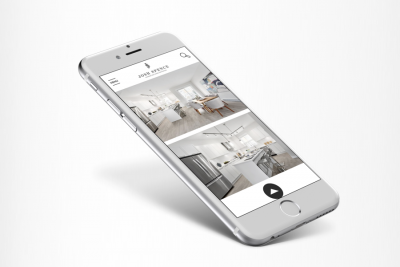 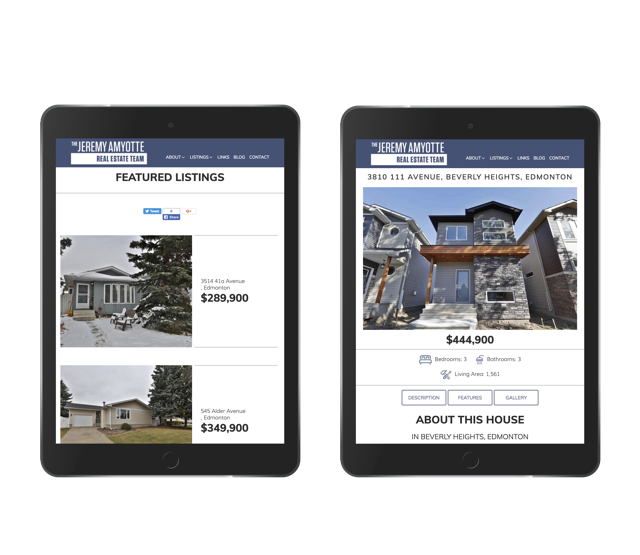 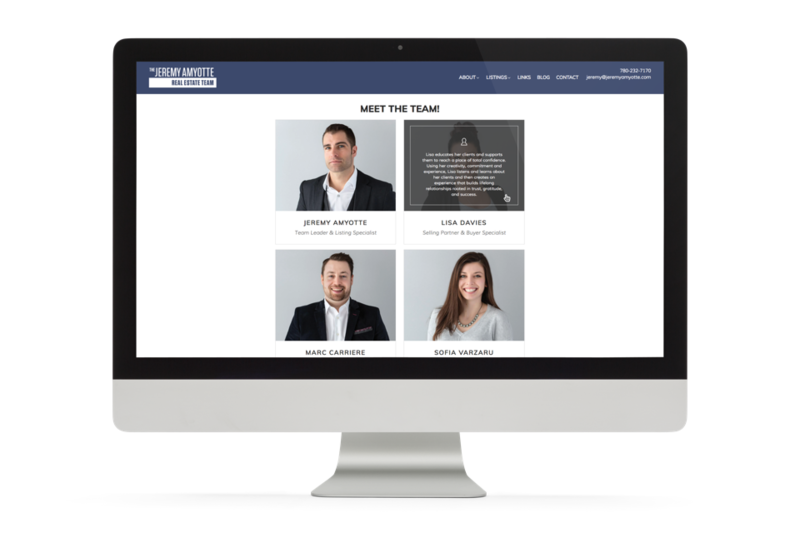 Integrating with the Edmonton Real Estate Board (EREB) MLS® Reciprocity feed, the Jeremy Amyotte Team’s real estate website provides a great marketing platform for the team while marking an important new-region entry for Brixwork. 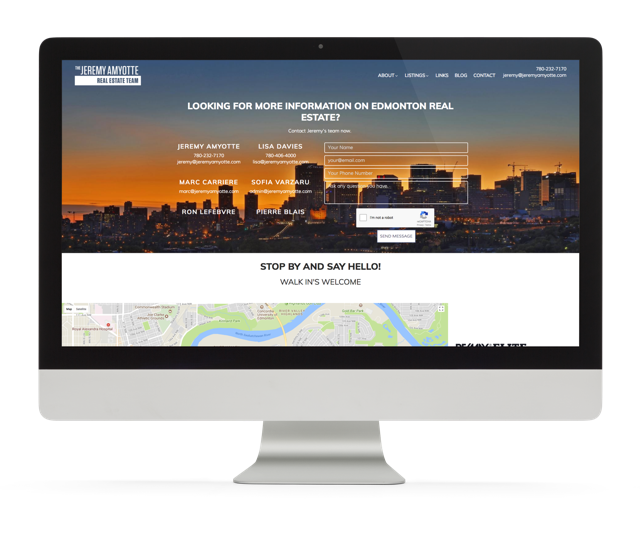 This is a real estate team that truly walks the talk – with a much higher sales success rate than other Realtors® in the Edmonton region while upholding excellent sale-to-asking price ratio, they truly deliver. 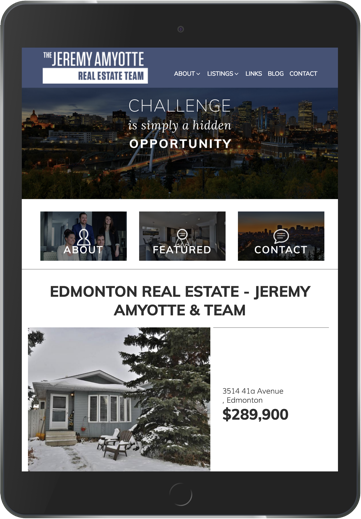 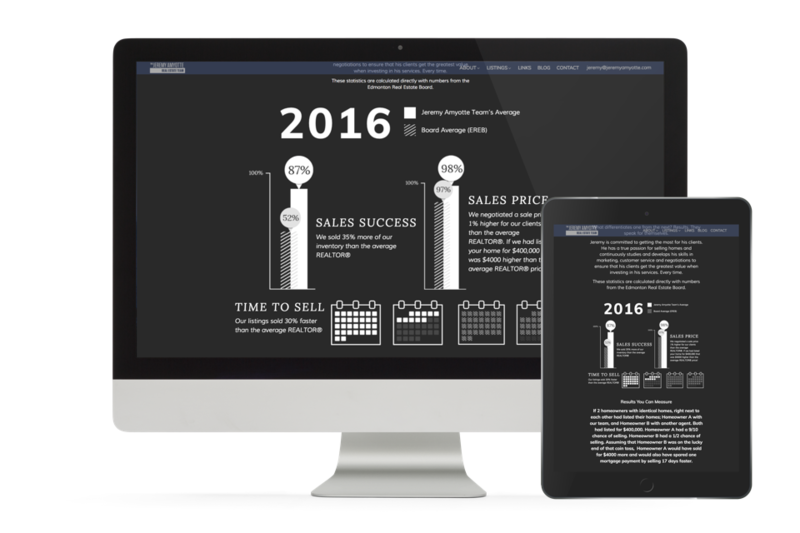 Our design team was up to the task to ensure we showcase these numbers through a custom designed & animated performance stat infographic section to help Jeremy and the team secure more quality Edmonton listings.